NEW YORK: Just like weather forecasting, scientists can now predict the timing and intensity of influenza outbreaks in subtropical climates, where flu seasons can occur at different times and more than once during a year. 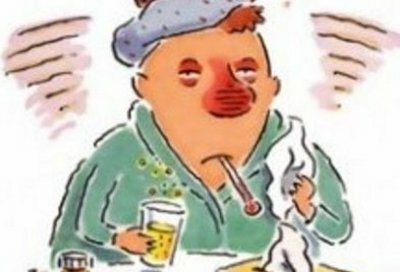 Since the 2013-2014 season, scientists of Columbia University’s Mailman School of Public Health have published weekly regional flu forecasts for over 100 cities in the US. Their system employs a computer model to generate multiple simulations that mimic the behaviour of an outbreak and are then knit together to generate an overall prediction. In the new study, the researchers used data from a network of 50 outpatient clinics and laboratory reports in Hong Kong from 1998 to 2013 as a test case to retrospectively generate weekly flu forecasts. The system was able to forecast both the peak timing and peak magnitude for 44 epidemics in 16 years caused by individual influenza strains, including influenza A (H3N2), influenza B, and both seasonal and the 2009 pandemic outbreaks of influenza A (H1N1). The technique predicted the peak timing of the outbreak three weeks in advance of the actual peak with accuracy as high as 93 per cent. Prediction accuracy varied depending on the strength of the outbreak and how far in advance the prediction was made. In general, forecasts for specific strains were more accurate than those for aggregate epidemics, and the peak and magnitude of outbreaks were more accurate than the timing of their onset or their duration. “Individuals may choose to get a flu vaccine to protect themselves against infection, while officials can anticipate how many vaccines and other supplies are needed, as well as the number of clinicians and nurses needed,” said senior author Jeffrey Shaman, associate professor of Environmental Health Sciences at the Mailman School. Seasonal influenza outbreaks in temperate climates like the US are restricted to the winter months. By contrast, outbreaks in the subtropics such as Hong Kong happen year-round. In addition, outbreak intensity, duration, and timing are more variable in the subtropics than in temperate regions. “The irregularity of flu outbreaks in subtropical climates makes forecasting more challenging,” said first author Wan Yang, an associate research scientist at the Mailman School. Researchers modified the flu forecasting system used in the US to account for the dynamics of a subtropical climate, adding mathematical techniques that prompt the system to recalibrate itself and let go of certain assumptions.